As I approach nearly a decade of covering the Jazz Fest, I’ve learned that the programmers are good for some behind-the-scenes insight. I’ve also learned that big tickets are worth buying if you want to be assured of a spot. So when Laurent Saulnier told me a few months ago that the Dr. John/Leon Russell tag team was a true “double feature” – two full-length concerts back-to-back – I immediately ran to the box office. André Menard reminded the audience of this fact just after the house lights went down. My passion for New Orleans music in particular, and Southern-drenched piano pop more generally, is no secret for anyone who knows me. I do have to admit relative ignorance on Leon Russell’s extensive catalogue – I know him as the composer of “A Song For You” and “This Masquerade” and for his participation in the Concert for Bangladesh, but his solo discography remains unknown to me. After last night’s canonical performance – in terms of representing an artist’s history, not so dissimilar from Allen Toussaint’s recital at Gesu a few years back – that will be rectified as soon as possible. Russell, decked out in a white jacket and cowboy hat, walked out with his band on a pre-recorded atmospheric synth pad and sonically exploded into Theatre Maisonneuve. It was a bit incongruous to see a glowing MacBook in front of this paragon of Americana, and the synth brass layer he used insistently wore out its welcome quite quickly. I forced myself to listen beyond the sound (both boxy and harsh) and into his playing, and was rewarded for the effort. Surrounded by drums, bass, and a guitarist who moved between a Stratocaster and pedal steel (in addition to providing some adequately churchy organ on “Georgia On My Mind”), Russell flew through tunes either in medleys or near-medleys, barely stopping for instrument changes or to talk to the audience. Even at 71, Russell makes no mystery of his influences – he spoke of growing up in Tulsa and his music exposure coming from the only two radio stations he could receive, gospel music and R&B. The medley of the traditional bluegrass tune “Rollin’ in my Sweet Baby’s Arms” and his own “Stranger in a Strange Land” perfectly reflected how he’s incorporated the church and the country, R&B and roots music. Bruce Hornsby’s debt to Russell was especially clear in this set. About two-thirds of the way through, he played a poignant solo medley of “Sweet Emily” (whose subject recently passed away), “Ballad of Mad Dogs and Englishmen,” “Magic Mirror,” and “A Song For You.” The weaknesses of Russell’s voice were more obvious here, but witnessing Russell perform one of his signature tunes was a hair-raising experience. The Stones rave-up of “Jumpin’ Jack Flash,” mashed up with fragments of “Paint it Black,” the Temptations’ “Papa Was a Rolling Stone,” and the blues tune “Kansas City,” closing with Chuck Berry’s “Roll Over Beethoven,” finally got the crowd moving. 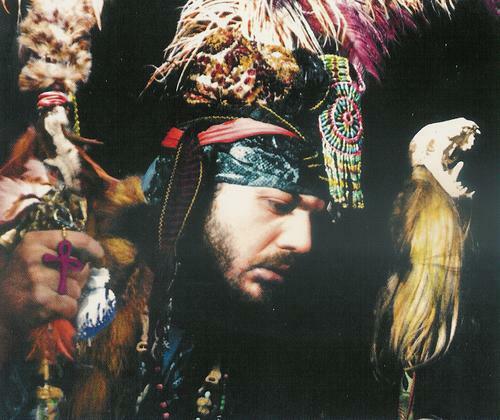 I had engaged in a Facebook conversation with Gazette critic Bernie Perusse about Dr. John’s uneven performance history in Montreal. The fact that he had recently disbanded his long-time group, the Lower 9-11, was also cause for concern. The new band of Nite Trippers, ably directed by trombonist and vocalist Sarah Morrow, wasted no time in proving they were more than up to the task. The Dr. himself was in fine form from the opening “Iko Iko.” His piano skills were in fine display on “St James Infirmary” (done on a groove very similar to “Mo’ Scocious”). Mac even switched to guitar on his version of “Let The Good Times Roll,” with more grease and grit than most guitar players I’ve heard on the outdoor blues stage this week. All praise be to Dan Auerbach of the Black Keys for getting the gris-gris gumbo back into the sound. The set was balanced between some of the new tunes off of Locked Down, classics like “Right Place Wrong Time,” and nods to tradition, be it the closing “Big Chief” where the whole band got showcase solos, or the funkified version of “Love For Sale.” Drummer Reggie Jackson and bassist Dwight Bailey were a knockout rhythm section. Unfortunately, some of the solos from Morrow, guitarist Kevin Turner and organist Ben Addelman didn’t speak as clearly as they should have – it took a while for their levels to get set in the house sometimes. But the groove reigned supreme and it’s always a pleasure when the Doctor is in. This entry was posted in CKUT programming on July 5, 2013 by Bryce.